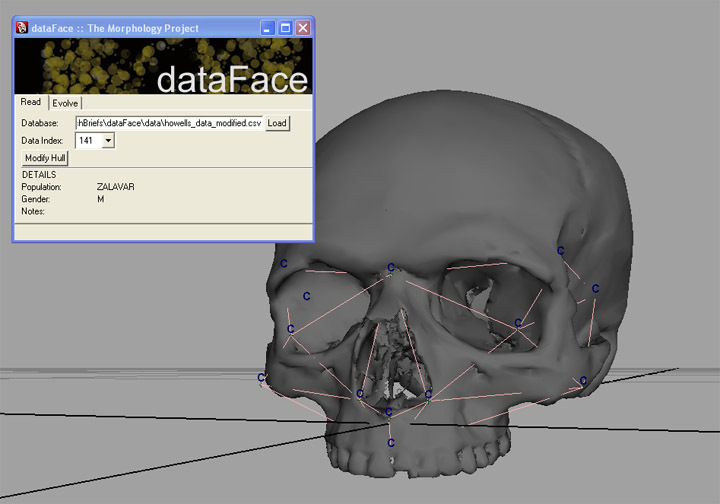 "dataFace" (part of the Morphology Project) (2007-2008) is a computational exploration of historic craniometric datasets by Rob O'Neill. 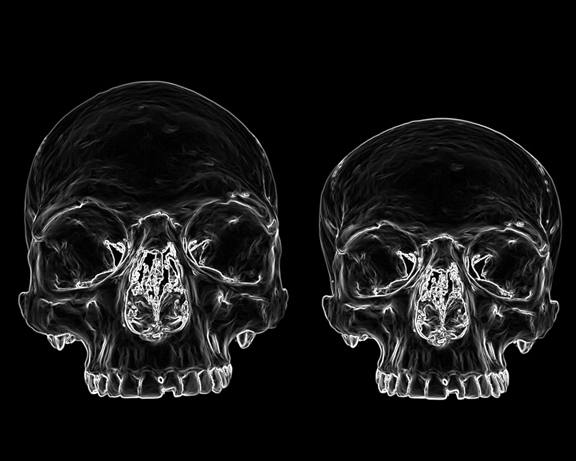 The project utilizes the database of craniometric measurements collected by anthropologist W.W. Howells and transforms them into a three-dimensional point cloud. 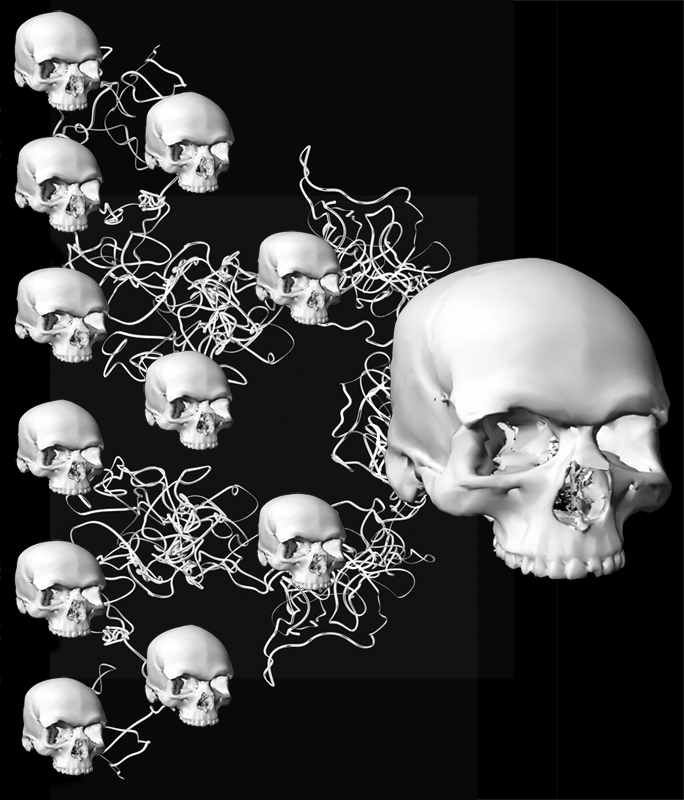 Howells made 82 measurements to record distances between landmarks and angles defined by anatomy from the crania of 2524 individuals collected archeologically from around the world and housed at a variety of museums. 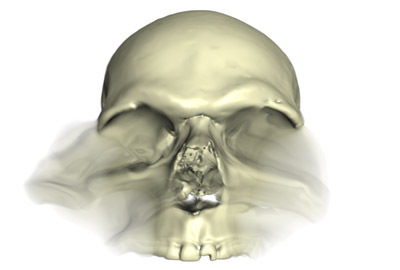 This cloud is converted into a deformation surface and is used to recreate a semblance of the person whose skull was measured. 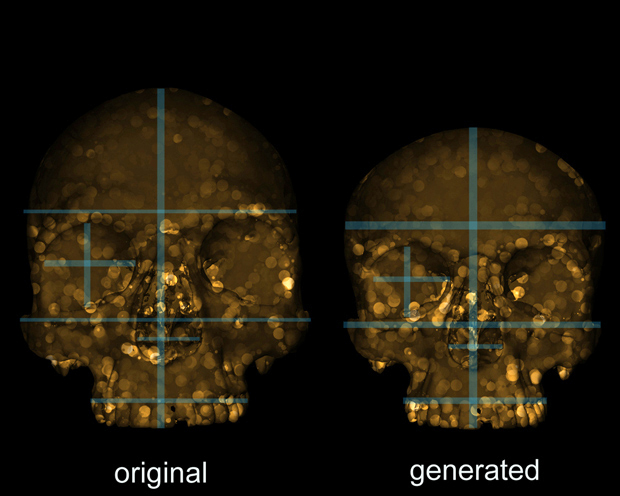 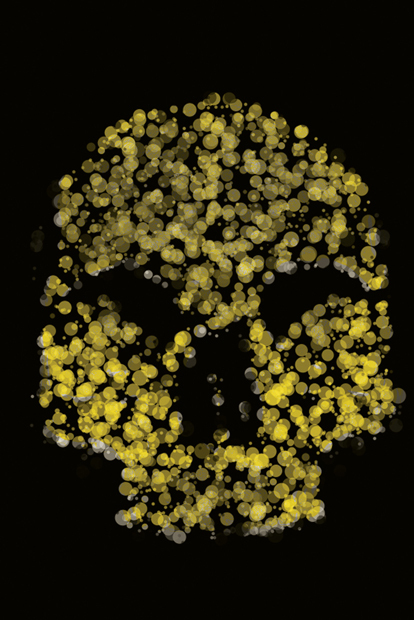 Bringing life back to this data is a unique process and one that opens other artistic doors, namely applying evolutionary algorithms to the population to evolve this human sample thousands of generations.